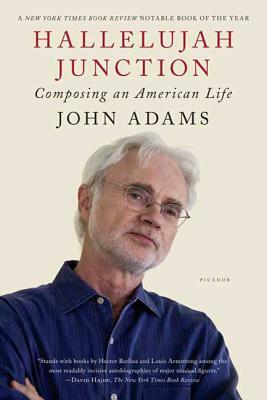 A book unlike anything ever written by a composer--part memoir, part description and explication of the creative process--Hallelujah Junction is an absorbing journey across the musical landscape of America and through the life and times of John Adams, one of today's most admired and performed composers. John Adams was born in Massachusetts in 1947. He is the composer of such acclaimed works as Harmonielehre, Nixon in China, Naive and Sentimental Music, El Niño, and On the Transmigration of Souls, which won the Pulitzer Prize in 2003. He is the author of the book Hallelujah Junction: Composing an American Life. He lives in Berkeley, California.